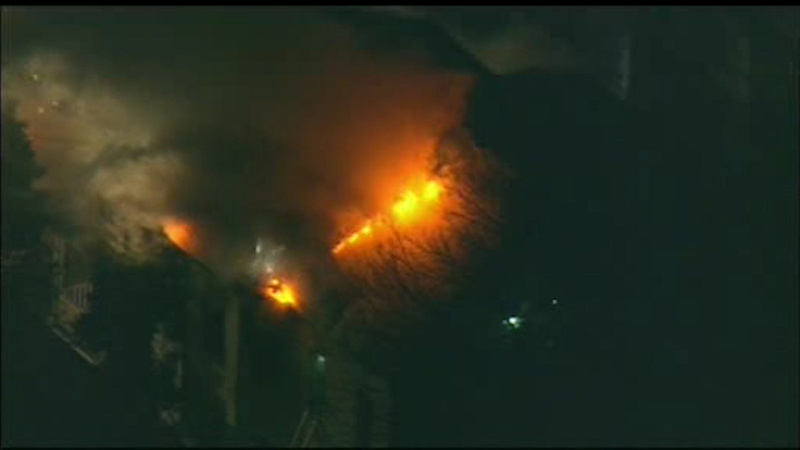 WOODLAWN, Bronx (WABC) -- A homeowner is left to pick up the pieces after a destructive house fire in the Bronx. Newscopter Seven was up over the scene Monday night in the Woodlawn section, showing flames ripping through the top of the home. The fire broke out on the first floor and quickly spread to the roof. East 236th Street was shut down as firefighters worked to get the flames under control.